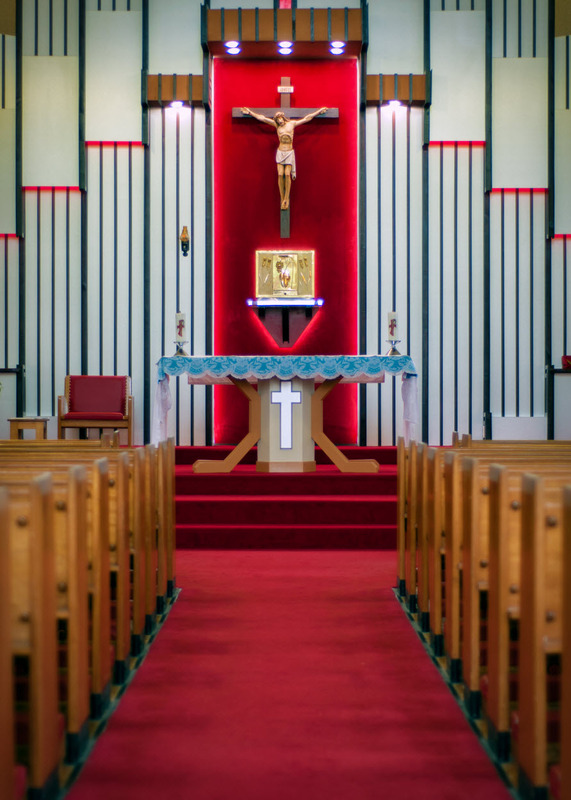 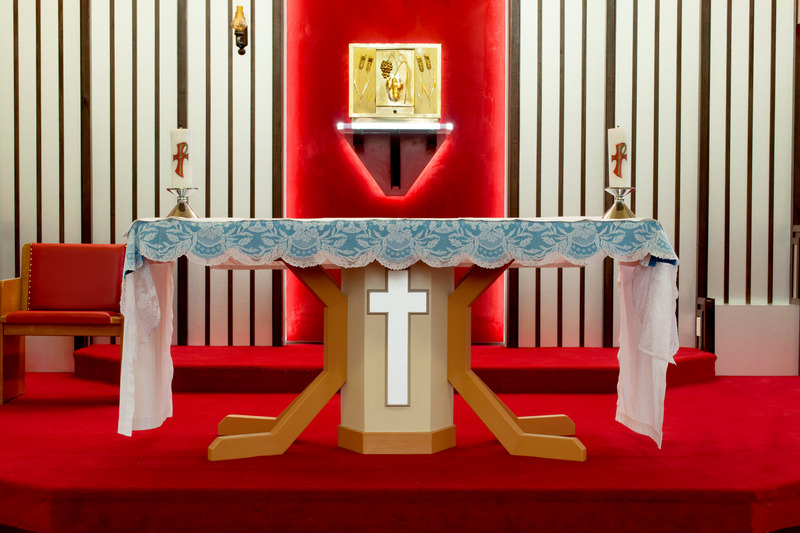 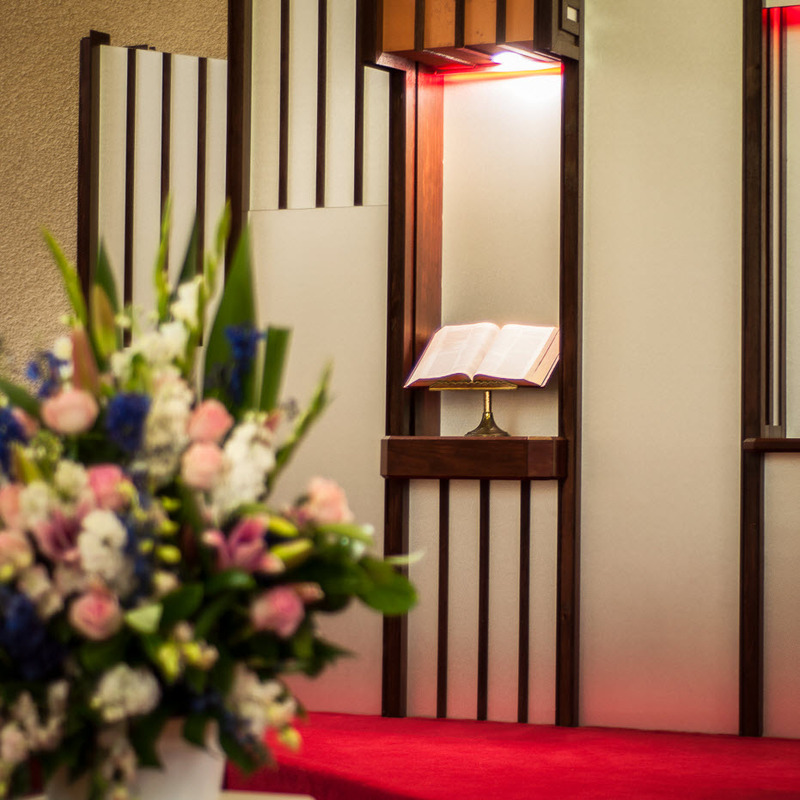 The Project consisted of the refurbishment of the existing outdated Altar. 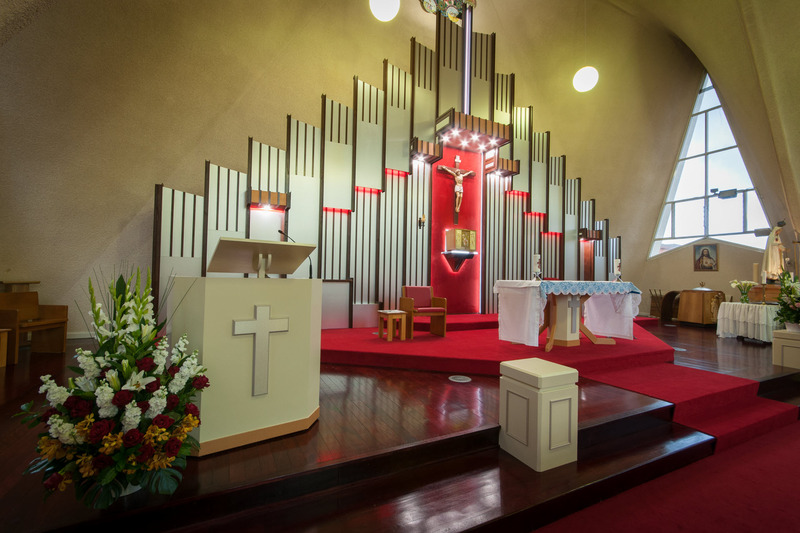 The Church had not had any extensive renovations since 1960’s and as such it was time for a modern touch. 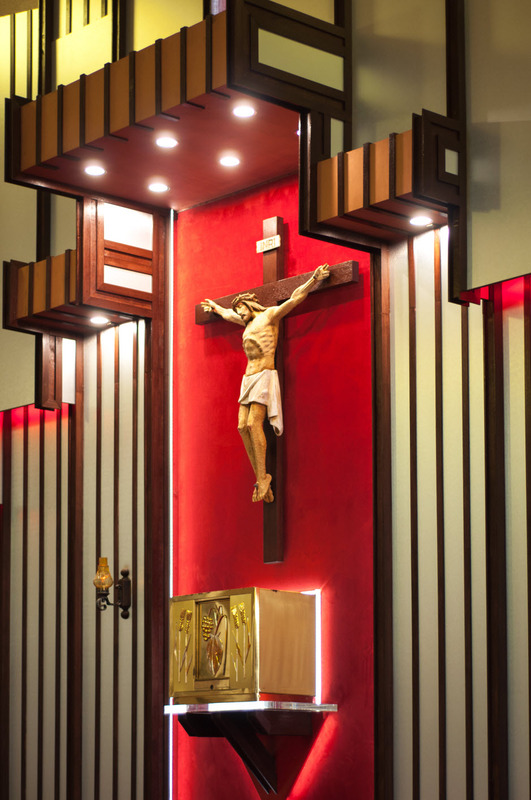 The altar required full strip out and the construction of 2x timber walls, one as an offset/cantilevered, to provide a duel wall effect and allow for LED lighting throughout. 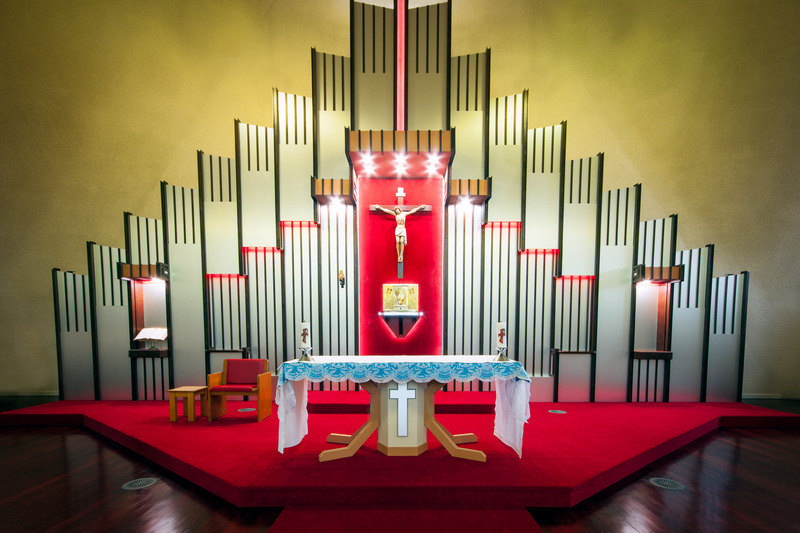 In addition, the existing mural, was shifted 3m higher to accommodate the new altar. 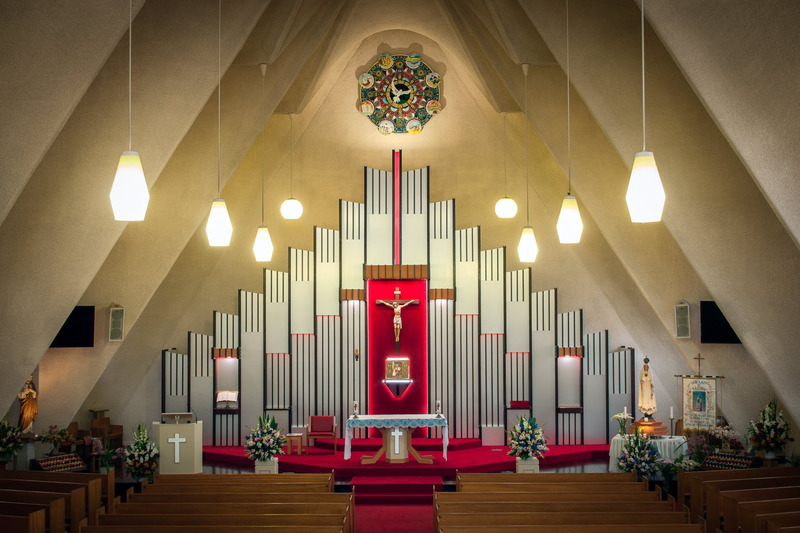 High detail finishes to each vertical panel and intermediate timber finishes, providing the classical organ look with a modern feel.